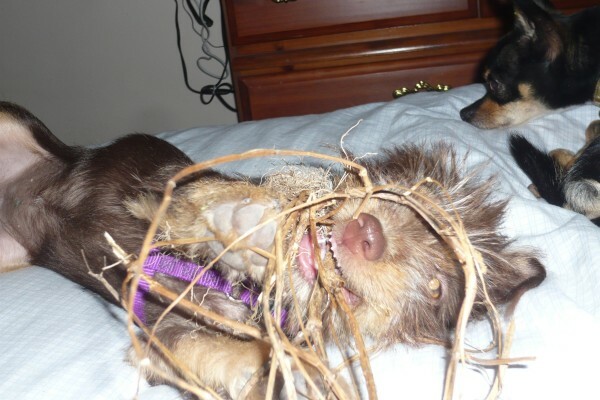 Peanut loves to tear dead vines out of the garden and drag them inside. He prefers playing with these to his whole box of toys. Should I stop buying him toys?